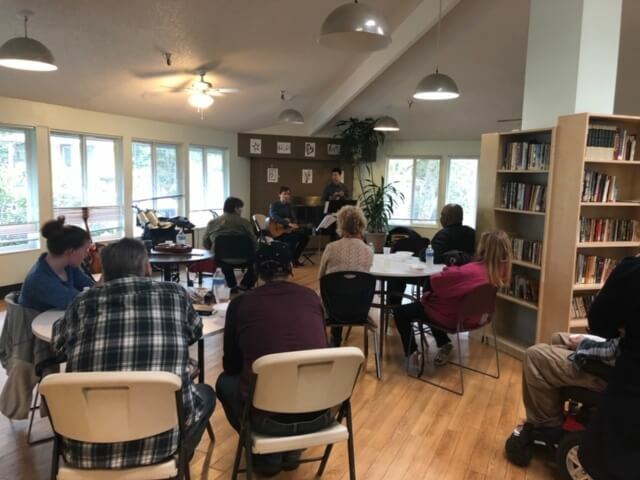 Classical Up Close, a non-profit composed of Oregon Symphony musicians, came out for the second year in a row to a Cascadia supportive housing site to perform classical music for our clients. Their mission is to bring classical music to the Portland community in order to improve accessibility to this kind of music. They have been out in the community since 2013 giving free performances, and came back to Cascadia with their new Pop-Up concert series this week. These kinds of events have such a positive impact on our clients who are experiencing a mental or behavioral health challenge, and the event was well-attended by clients at the residence. 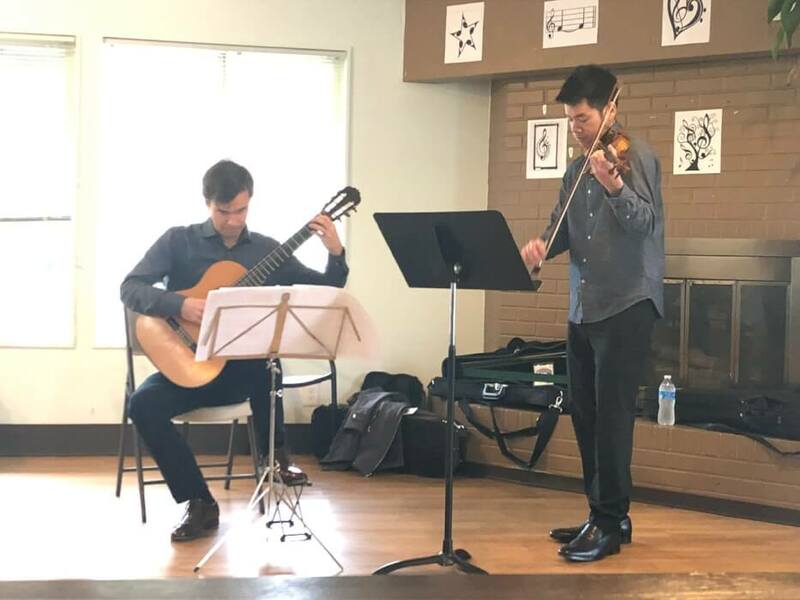 Violist Ryan Lee and Guitarist Cameron O’Conner played an array of music spanning classical, Argentinian tango, and some piece from the Beatles they thought would translate well from being played by a full orchestra to only using a violin and a guitar.